We've heard a lot about tangible interfaces for gadgets lately—but what about tangible interfaces for music? 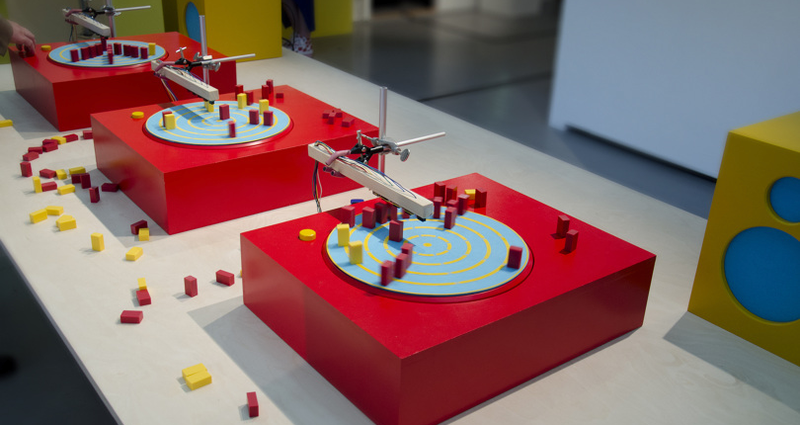 Per Holmquist, a Swedish designer, built just that: Beat Blox, a "turntable" that makes beats based on where you place tiny blocks on its face. 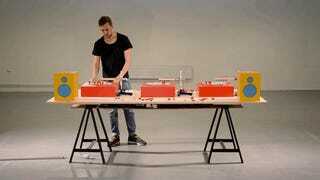 Holmquist, who created the project for his thesis at Beckmans College of Design, describes the project as "an interactive music machine that offers a free creative expression without requiring prior knowledge" on his website. How does it work? According to Creative Applications, each machine contains five digital distance sensors in its wooden arm. These sensors interpret the locations of the blocks and relay that data back through the Arduino-based system, creating music based on certain pre-programmed metrics.